Thought the Premier package was incredible? Wait until you watch a movie with our “Extreme Movie Experience” package. 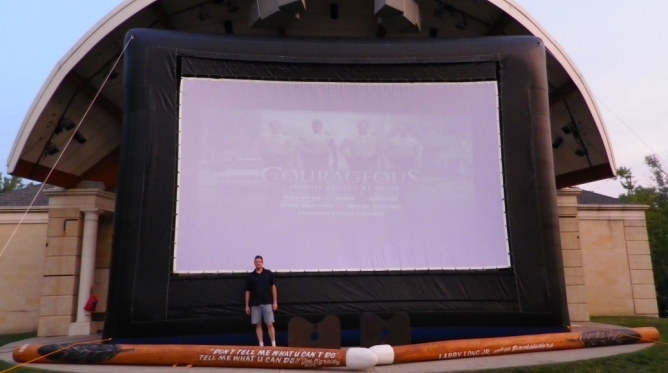 With a screen this size you can entertain an audience of over 1000 people. Prices starting at $699* including delivery! 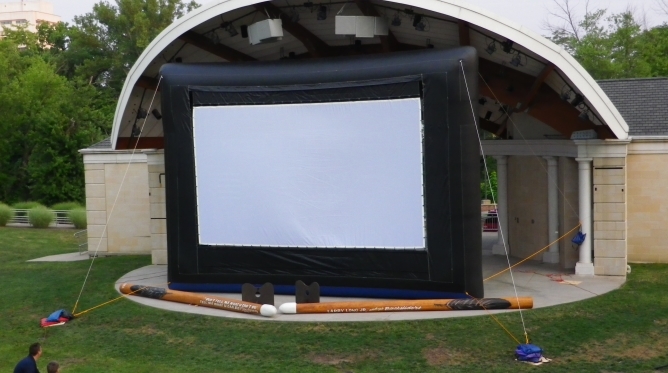 NEO Outdoor Cinema provides our giant 22′ tall screen with an 25′ x 14′ viewing area. 1100 watt sound system to provide great movie quality sound to all but the largest of crowds. 5000 lumen projector, DVD or Blue Ray player, wireless microphone, table, cables, and any other necessary equipment. An event host will stay and run the event for you. No need to do anything. Just show us where you wand the screen and we handle the rest.